Over 900 new economy actors got together in Málaga, Spain for the Global Forum on New Economy and Social Innovation. The event, which took place on 19-22 April, concluded with the launch of the New Economy and Social Innovation Charter, calling for a “values-led system” based on justice, solidarity, sustainability, equality, autonomy and collaboration. Representatives from various co-ops also attended the forum, including Som Energia, BIKonsulting, Iudescoop, Defiende-T S Coop and Suma Wholefood. The Spanish Confederation of Social Economy Enterprises (CEPES) and Social Economy Europe also had delegates at the event. The charter proposes greater co-operation and social innovation for the transition towards a new economic system to serve people and the planet. It has been co-written and signed by representatives from new economy movements worldwide and is based on an international research conducted by D-Lab, the University of Barcelona and NESI Forum during the second half of 2016 and up to February http://tramadolfeedback.com 2017. The research is founded on data collected through an online survey and issues raised during workshops featuring over 600 participants from 35 countries. 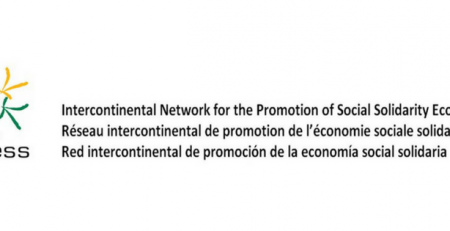 Diego Isabel La Moneda, director of NESI Forum, said: “This is a key milestone for the economy. This is the first time that all economic movements joined with the public administration, companies and NGOs to show that people should not serve the economy but the economy should be at the service of the people and the planet”. The signatories of the charter commit to the co-creation of a new economy that integrates social purpose, ecological sustainability, collaboration, openness and justice and localisation. The charter sees businesses with social purpose as playing a key role in building a new economy. They include social enterprises, B-Corps or the banking on values network, as well as the social and solidarity economy, which includes co-ops. “Today, we dream and commit to co-creating a more sustainable, just, collaborative and people-centred new economy. Today we dream and commit to co-creating a better world,” concludes the charter.